Are you planning a DIY project or looking for fence contractors in Indiana? Start here! 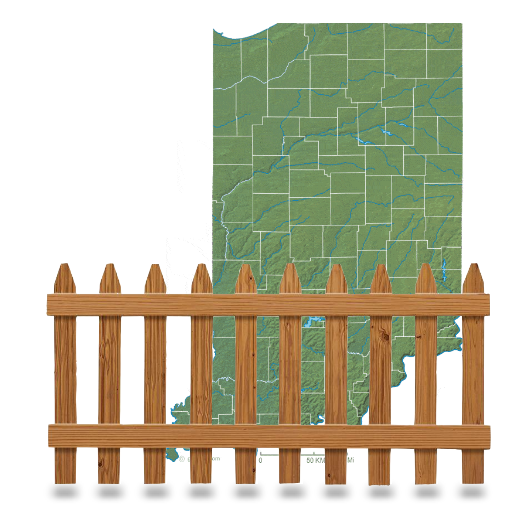 We have some tips to help you get started selecting the right fence supplies in Indiana. More expensive doesn’t always mean better. Here’s some suggestions on how to spot quality fence supplies in Indiana. In the past, home owners have looked first to wood and chain link for fence projects – wood for the best privacy and chain link for the price. However, these two options are not best in the long run. Wooden fences require the most maintenance and can rot over time if not cared for properly. Chain link offers little to no curb appeal. Today, the best fencing materials are vinyl for privacy and aluminum for security. Both options have little to no maintenance and are more affordable than wood and iron. It’s important to ask for warranty information on both the materials and installation services. If a warranty isn’t offered then it’s a red flag in terms of quality. The minimum warranty on materials and workmanship is one year. Many competitors offer a two to five year warranty on their installation. Many companies that offer vinyl and aluminum fencing give lifetime warranties with their materials. Where are the materials manufactured? Made in the U.S.A fencing supplies is not a difficult thing to come by. Ask your local fencing supplier where they get their materials. They might even have them manufactured in the state. Materials being made in foreign countries might lack quality because of the cheaper labor costs and damage from long transportation. What options do I have for my fencing needs? This is a critical question to get out there from the beginning. Why do I want a fence? Is it for privacy? For security? To increase the value of my home? To secure a pool or pets? It’s important to assess your needs first and then go from there in terms of style preference and budget. The most popular budget friendly fence supplies in Indiana nowadays are vinyl and aluminum. Make sure your budget includes the price of materials for entire space you want fenced. Front yard and backyard? You might need a second opinion to double check your calculations. Are you planning a DIY project or professional installation? Have you considered the labor costs into your budget? When professionals give you an estimate, it usually includes installation, but it’s always good to check. Be sure to ask about their clean-up policy. That might be an extra charge. What is the suggested maintenance? Will your fence require maintenance, such as replacement boards, paint, coatings? This might need to factor into your budget costs. Ask your professional fence supplier for their suggestions of quality products to help maintain your fence. They might even be able to offer some discounts on such products. How flexible is my budget? When going into any big home improvement project, you will need to ask yourself this question: Do I have a ballpark frame budget or a set in stone budget? Throughout the process, you might find that you want a gate installed, too, or a different color, or ornament design. These things will be additions to your final costs. If you have a very strict budget, be sure to let your fence supplier know. That way, you can (hopefully) be spared from being offered upgrades and additions. 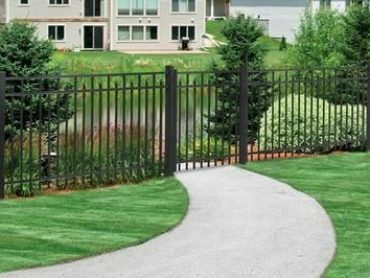 Top U.S. fence suppliers offer a three step model that can be applied to any and all fencing projects. Indiana’s own top fencing company, Mr. Fence, also follows this method originally created by ActiveYards. Keep reading to see how and why it’s so effective. Shopping for fence supplies in Indiana is better than ever with the following options. For quick information and pricing, call around to various local fencing suppliers to see what they offer. You might be surprised with some over the phone specials and rates, too. Another option for those just curious for surface information is to visit websites of local suppliers. Online you are able to browse photos of of styles, materials, and custom work. Pricing is usually not available online though since it varies so much. The best way to get a good look and feel for what you’re getting is to visit a fence showroom. There, you can also speak to professionals about your budget, ideas, and concerns with immediate responses. A third and final way to shop is to have an at-home consultation. This is when a fencing professional visits your property, assess the project, and gives you an estimate. Many fencing companies, like Mr. Fence in Evansville, will offer this service for free. 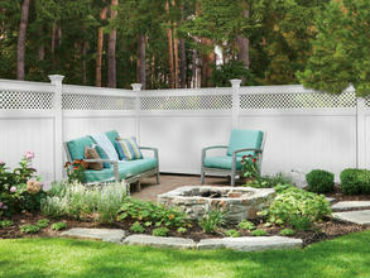 While shopping, try to narrow down to three options that will work with your fencing needs, wants, and budget. In this second step, you select in more detail the fencing supplies that best suit your preferences. This means you work out a plan of action to select all the details of your fencing project including color, material, customizations, and additions. 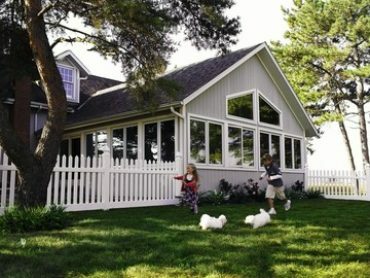 ActiveYards dealers offer three different style series according to price range, patented ingenuity technologies, and decorations. Installing a fence on your own is a big process that requires detailed how-to guides, even for the most experienced handyman. However, if you go with an ActiveYards fence, they offer fencing supplies manageable for self-installation. This system is called EZ Fence 2 Go. The panels are packaged in kits and snap together making it easy for the DIYer. While you’ll save bundles installing a fence on your own, there are loads of benefits that make professional fence installation well worth it. A professional fence contractor will handle all the planning, preparation, installation, and clean up of your fence project. Professionals guarantee installation by local and state fencing codes. 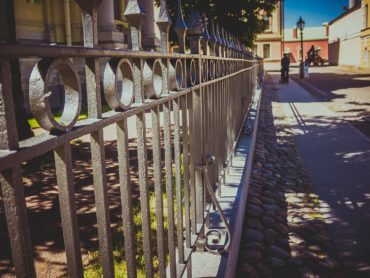 Following these tips will have you well on your way to successfully shopping for fence supplies in Indiana. Online guides make the unknown of fence shopping a more known and enjoyable experience. Whether you’re planning a DIY project or professional installation, call your top local fence suppliers in Indiana for further information and queries.